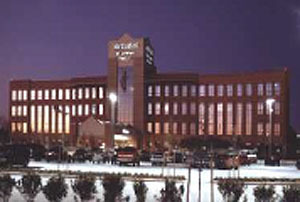 Methodist Willowbrook Hospital is the second in a network of community hospitals developed by Methodist Health Care System. The hospital features doctors’ offices, diagnostic facilities (including MRI), in/out-patient treatment areas, emergency and birthing centers, and laboratory and pharmacy services – all within a 330,000 square-foot complex. Methodist Willowbrook Hospital’s design objectives are to provide distinctive quality care in a patient-friendly environment and reduce patient waiting time. HMA Consulting designed the building controls and security systems.